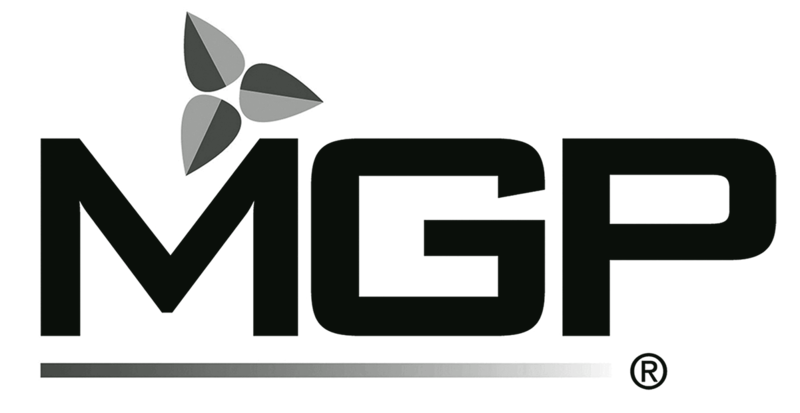 “MGP” stands for “Midwest Grain Products,” one of the largest distillery operations in the United States, located in Lawrenceburg, Indiana. The distillery was opened in 1847, and has undergone such significant upgrades, expansions, and modifications over the years that little of the original remains. But for as long as anyone can remember they’ve utilized a unique set of column stills, that are each several stories high, and built into brick towers that give the building the silhouette of a medieval castle fortress. Interestingly, MGP is strictly a production contractor to other distilleries and brands — it markets no brands directly. But it is highly likely that you have consumed spirits produced here, since their distillate is used in more than fifty different standard and premium spirits. Like so many distilleries, it has been bought and sold many times. Seagrams owned it the longest, but when the company had financial difficulties, it sold off all of its liquor assets to other industry giants, and MGP ended up with Diageo. Diageo almost closed the shop since their specialties — Bourbon and a 95% Rye — were out of favor at the time. But a group of private investors came in and purchased it, just in time for the revival of craft cocktails and artisanal spirits. Demand was only 50,000 cases in 2006, jumping to more than 600,000 cases today. Today they produce almost every kind of spirit to can imagine, for some of the top brands in the world. What does MGP Indiana taste like? The Flavor Spiral™ shows the most common flavours that you'll taste in MGP Indiana American Whiskey. It's based on all MGP Indiana drinks in our large database and gives you a chance to taste MGP Indiana before actually tasting it. In November of 2015, MGP announced its first ever house brand — Metze’s Select Indiana Straight Whiskey. It is a blend of their high-Rye Bourbons, named after the Master Distiller who retired that year. It is not yet available on the market. As Master Distiller, I take tremendous pride in the quality of products that we produce here. We start that through our grain sourcing, through the way we mash it, through the way we distil it, to the way we barrel it. We continue to make world-class Spirits. What we really have to offer that other people in the industry don't is the ability to do traditional Bourbon Whiskey Mash Bills as well as custom Mash Bills. The reason the facility's located where it is, is because we're sitting on top of what they call an underground aquifer, and we have some of the best water in the world producing distilled Spirits and Mashing cooking, so we're able to provide a very superior product.